A coworker of mine is getting married soon. I was asked if I could create a card that all of us at work could sign. 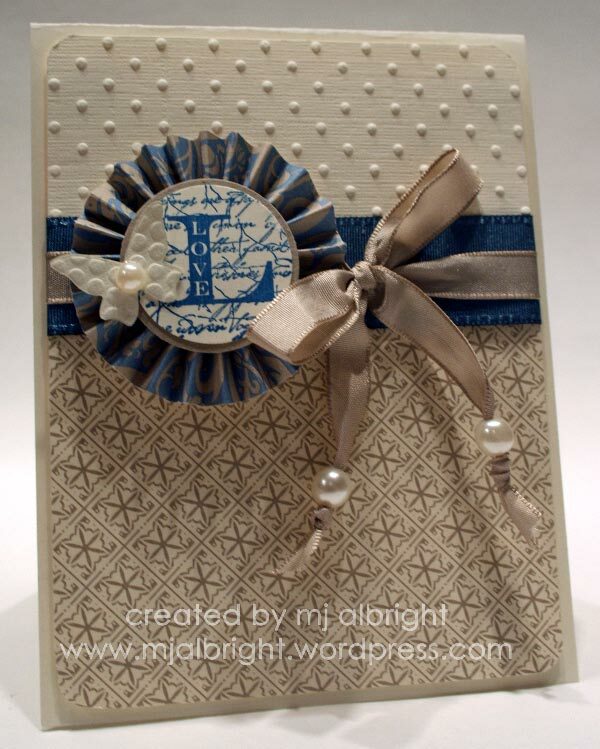 I gladly accepted and created this card and gift for her. Now, onto the gift. 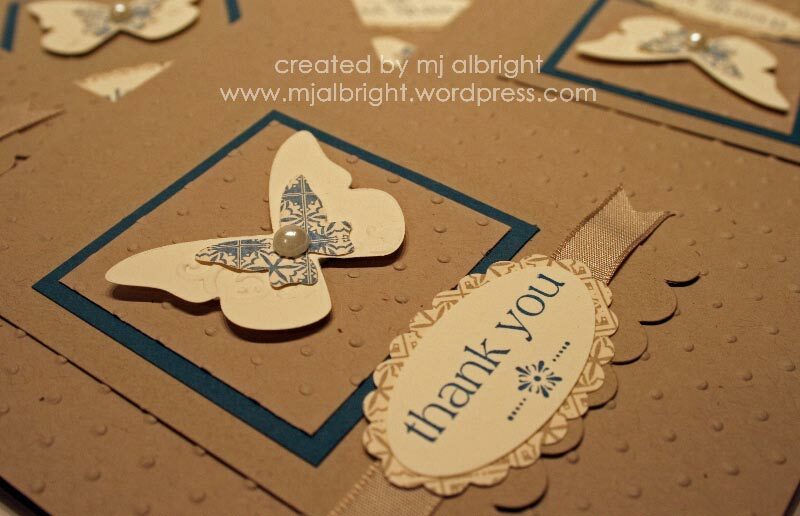 Every bride needs some thank you cards. I created a box with eight thank you cards & envelopes, and a small cello bag filled with butterfly card confetti to coordinate. 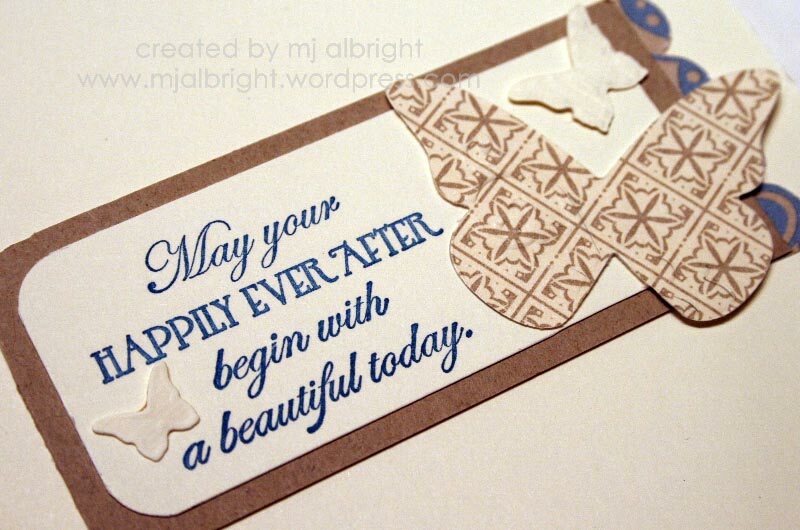 This is a simple card with a lot of texture and dimension to it. 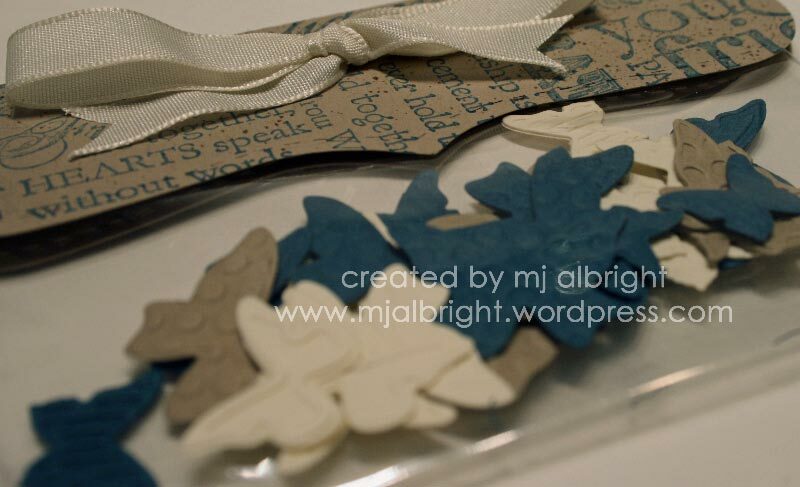 Once I had all of the pieces cut and embossed, I whipped eight of these together in no time. 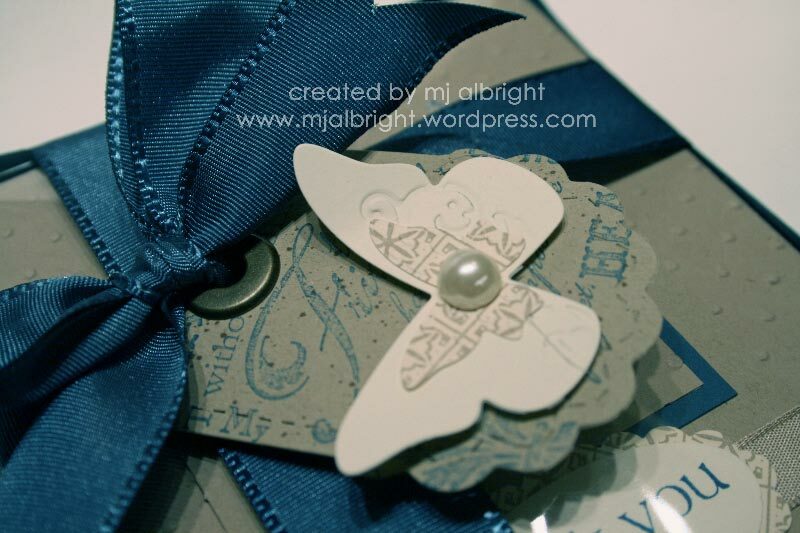 Below is a pic of the butterfly card confetti. You know, at times, you’ll get a card with the shiny confetti in it. After I cut out the 8 larger butterflies for the thank you cards, I noticed how many little butterflies there were on my table. Why waste or throw away? 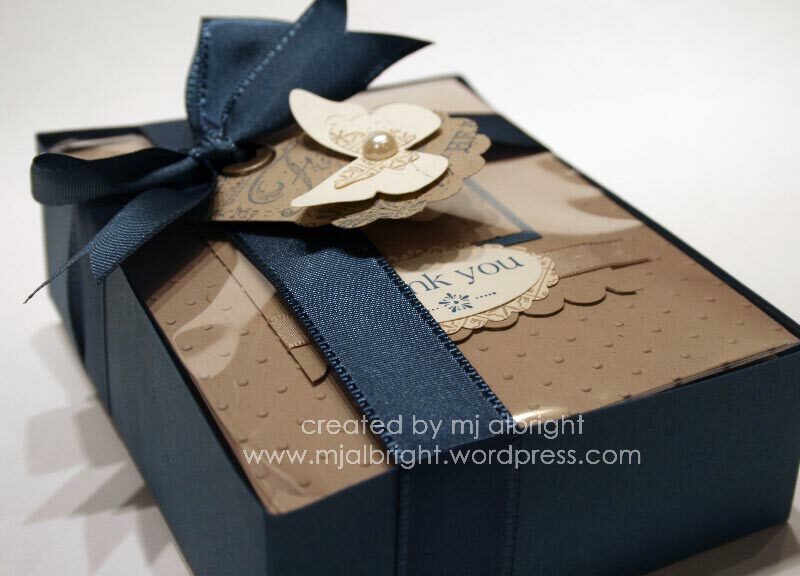 I put them in a cello bag, designed to coordinate with the rest of the theme, and placed them within the gift box. I’m off to work now. I will edit this post tomorrow and add supplies used.